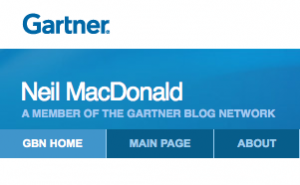 Several folks have sent over links to a recent Gartner post discussing OpenSAMM written by Neil McDonald, a VP and Gartner Research Fellow. Glad to see them taking notice of our project, and further, they like it! Feel free to send in other blog posts about OpenSAMM (either in comments here or to our mailing list) and we’ll put up links. The Real Software blog by Jim Bird has a good post about how his software security assurance program has evolved over time, and now, SAMM is helping out. Give it a read here. In preparation for the upcoming OWASP conference in Poland, we were asked to help get the 1.0 release up on Lulu.com so that a copy can be printed for each attendee! So, we’ve put up the SAMM 1.0 release and it’s now available for purchase. That means you can purchase professional hardcopies, delivered right to your door, which is pretty handy. Even though I’m partial to the color version, there’s a more economical black & white version available too. The awesome folks at Gotham Digital Science, namely Matt Bartoldus and Mara Clarke, worked with me to put together a fantastic press release about the SAMM 1.0 release. It went out yesterday and has been picked up and syndicated on a number of different news wire services. Here is a link to the press release on eMediaWire and Yahoo News, and I’m sure there are several others too. I recorded an OWASP Podcast episode with Jim Manico and it just went live. We discuss the new SAMM release, some of the project’s history, and, of course, some other favorite projects of mine. Jim is a great host and I can’t wait to get invited for another! As the project lead for the OWASP CLASP Project, I was invited to speak at the OWASP NYC conference to introduce SAMM and discuss details with attendees. The conference and my talk had a great turn out, and I was impressed with the amount of feedback received. Both slides and video from my presentation (below) are online as well as from all the talks at the conference. You are currently browsing the archives for the Press category.